Check out these 15 Simple DIY Salt Dough Crafts that you can Easily Make with your Kids. These Craft ideas are a great source of learning combined with creativity for your younger ones. Note: If you don’t know the basics of how to prepare Salt Dough, Visit here. This salt dough snowman is super easy and fun to make and you can use it as a decoration for Christmas this year! 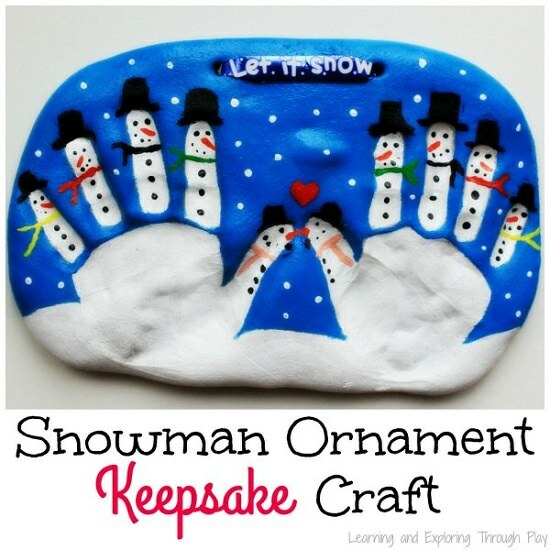 Simply ask your kid to leave his hand imprints on the salt dough and then paint the dough as a snowman. It will absolutely widen the creative sense of your kid! Visit here to get the step-by-step tutorial. How about having a salt dough gingerbread man for favors this festive season? Get your kids in doing this easy craft using their fingerprints and your directions, of course! Get the detailed tutorial article at Crafty Morning. Make these salt dough ornaments to add adorable fashion to your festive or get together decorations! Stencil your salt dough, dry them in the oven and glitter paint them to get the final result, it’s just that simple and easy! Get the help from this article. Engage your kids in making this Christmas tree using salt dough, paint, and their fingerprints! They can also write a message at the back of the tree using a sharpie or do this step yourself! Visit Messy Little Monster to get the instructions. Use star stencil, metal keyring, and salt dough to create this exceptional keychain! Have your kids press their fingers on the dough to make the keychain a bit beguiling. Find the steps here. Give your kids a learning as well as fun experience by creating this gender reveal volcano using a bunch of homely supplies! If the explosion turns out to be blue, it’s a boy and if it turns out to be pink, it’s a girl. Learn the detailed How-to at Preschool Powol Packets. Who said that your partner is always the valentine in your life? Valentine is everyone whom you love! Surprise your kids with these heart fridge magnets and if not surprise, get their help in creating this! Here’s the DIY. Create a garland for your home decoration using salt dough, stencils, string, and paints. Enjoy your homemade salt dough garland in few basic and easy to understand steps available at Tag&Tibby. This DIY salt dough candle holder is a combination of a masterpiece and a fun craft. Let the kids show their creativity and decorate the holder once they are dry. You’ll get the tutorial at Life As Mom. Involve your young one in doing this easter eggs DIY. Let them measure the ingredients for the dough, it will increase their intelligence about the pantry! This DIY is utterly jolly and ideal for easter decoration. Make oval shaped eggs of the salt dough and get the imprint of your child’s hand on the egg. Further, add a photo and date of the Easter day. Isn’t it easy? Get help from this article. 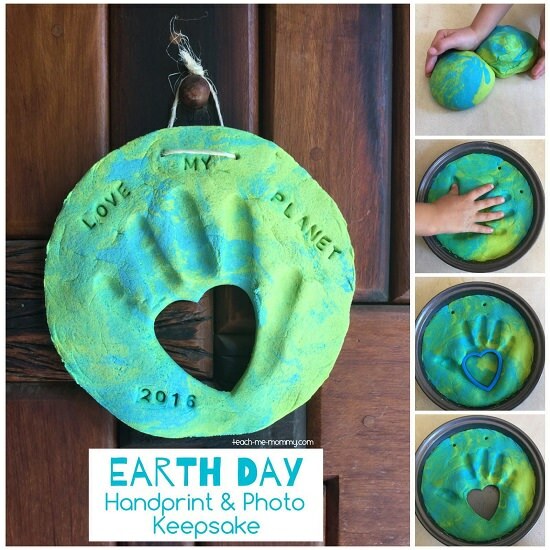 Secure your memories from earth day using these earth day keepsakes! While making this project, tell your kids the importance of nature so that they become a responsible citizen later! Check out the tutorial here. The list of crafts from salt dough is long because it’s easy and great for kids to try. To encourage your little ones to make this baseball DIY, get the instructions at Creative Family Fun. If you are a lover of salt dough ornaments, you’ll certainly love this idea. 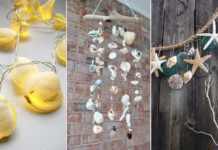 Once they dry, hang them to any decorative tree in your house, using a string or twine. Visit The Imagination Tree to know more! How about showcasing a leaf-shaped bowl by modeling a salt dough accordingly? Seems a great idea? Visit here.